You can either add data to the Contact or Session objects in Triggerbee. The Contact object is good for storing long term data that describe the person. The Session object is good for storing short term data. These data properties can then be used in automations and added to a CRM or email platforms. If we look at the form above, it contains four fields: Name, Email, Gender, and Message. 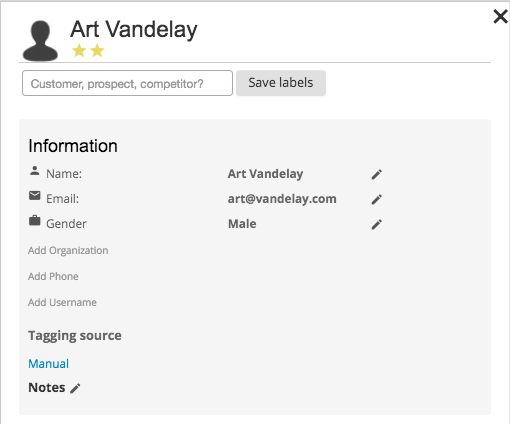 We would want to store Name, Email, and Gender in the Contact object in Triggerbee. The Message can be placed in the Session object. 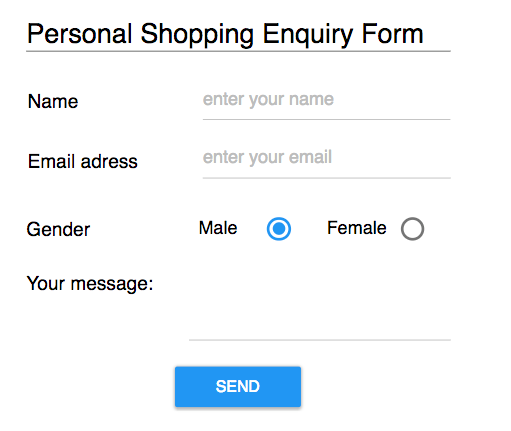 The default data model of Triggerbee supports Name and Email field by default, but Gender will need to be added. Here are instructions on how you can do that. mtr_custom.session.gender = $('input[name="gender"]:checked').val(); // NOTE! Requires Jquery! Read more about using form data in your automations here.